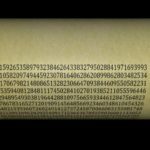 Pi is not only 3.1415926535. 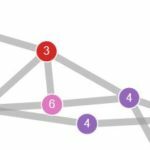 Get all digits of my pi world record to create music, visualisations, games or scientific publications. As announced in November 2016, I’ve computed 22.4 trillion digits of pi. All decimal digits are now available in the download section. 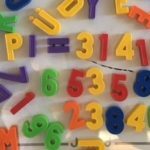 If you have no idea what to do with all these digits, have a look at these inspirations. 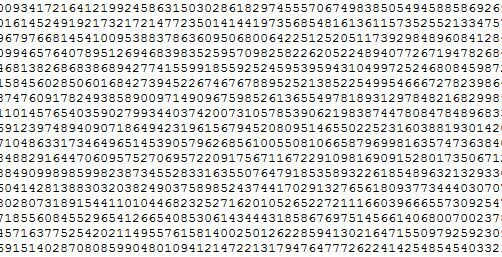 If you’re only interested in the first thousand or the first million digits of pi, you can download them as text files (.txt) directly from the links below. Data sets with more digits are available from archive.org and from Google drive. In November 2016 I made a data set with one trillion decimal digits available for download. The digits are saved as zip-compressed text files in chuncks of one hundred billion digits. Each file has a size of 43.7 Gigabytes. In total you have to download more than 430 Gigabytes. Since February 2019 you can download all decimal digits from my Google drive account at DECTRIS. These are the original files from my world record computation in the compressed format of y-cruncher. You need to compile the DigitViewer provided by A. Yee in order to read these files. Each file contains 200 billion digits and has a size of 78 Gigabytes. The total size is 8.8 Terabytes. If you encounter permission issues, this could be due to restrictions imposed by your domain administrator. I have verified that the files can be accessed when not being logged in with a google account. As an alternative to the possibly very long download, I can also copy the digits on disks and ship them per mail. If you’re interested in this option at the costs of the required disks (around 500 CHF), please send me a short notice. 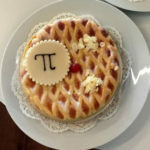 What to do with the digits of π?